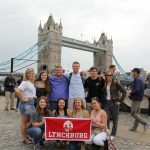 A group of Lynchburg students and faculty recently returned from a 10-day trip to England and Iceland. 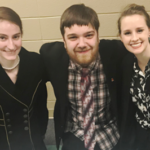 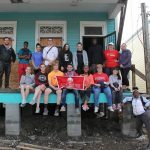 The trip was led by faculty members Dr. Barbara Rothermel and Dr. Jimmy Roux and focused public relations practices, cultural heritage, and tourism. 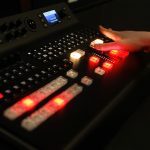 Communications studies majors have new, state-of-the-art tools at their disposal now that much of the equipment at the Rex Mix Television Studio has been upgraded. 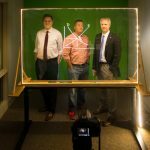 Among other things, standard-definition studio cameras were replaced with three Sony 4K digital cinema cameras.